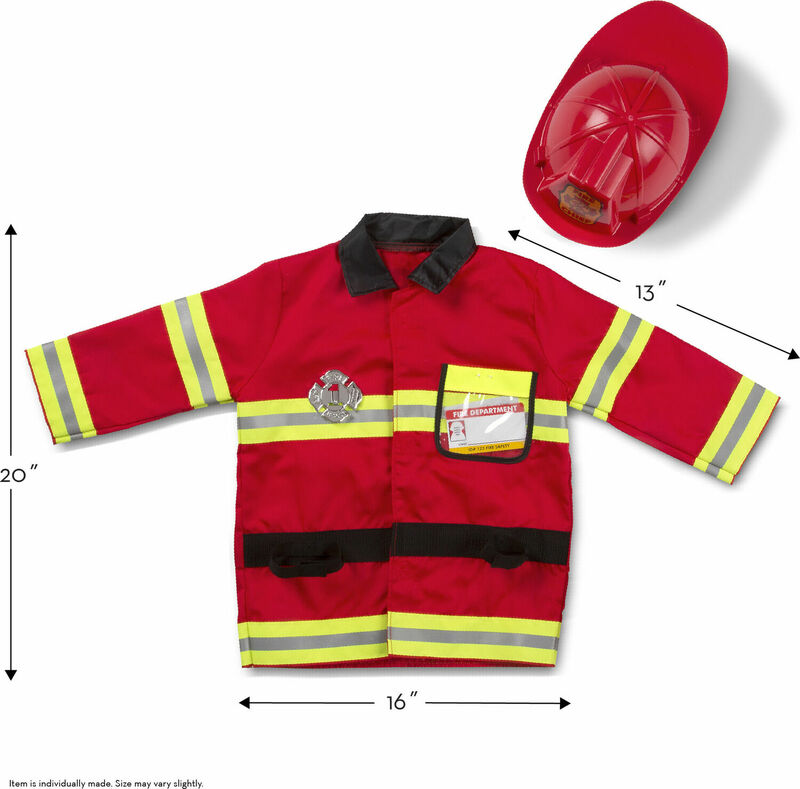 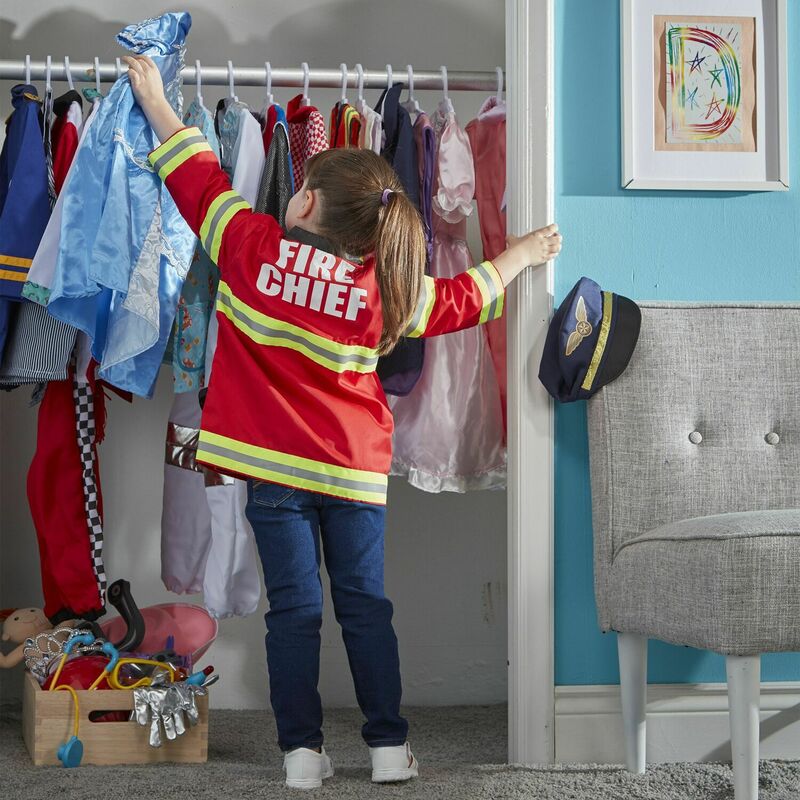 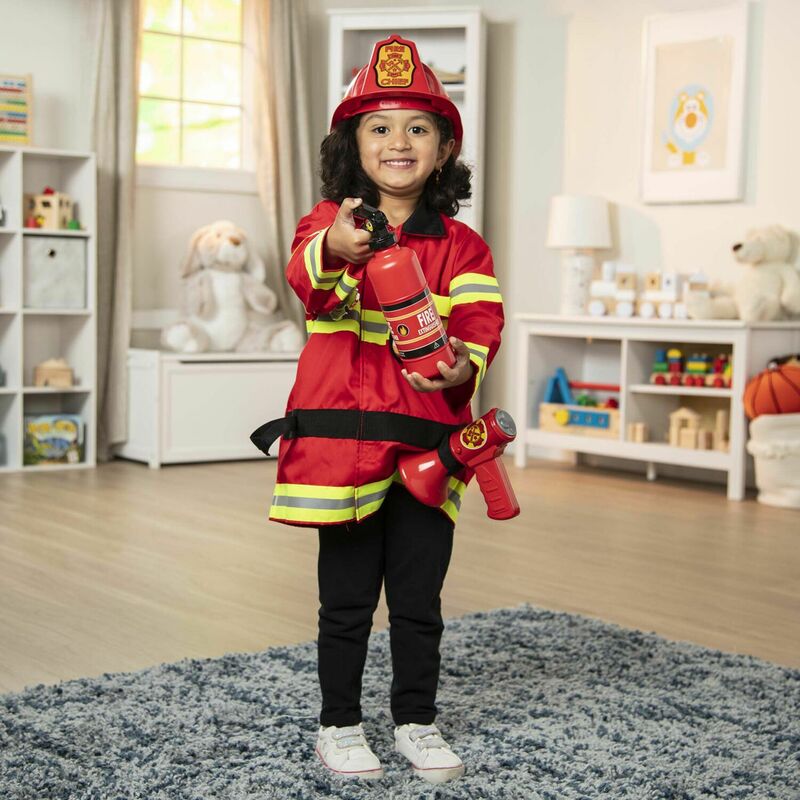 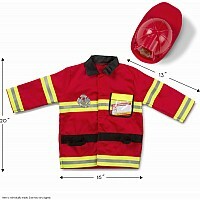 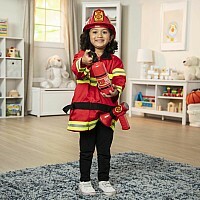 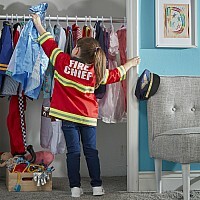 Here is everything your fire fighter needs in an emergency: A bright red, machine-washable jacket trimmed with reflective material, a fire chief helmet, a "fire extinguisher", a bullhorn with sound effects, a shiny badge and a name tag for personalizing. 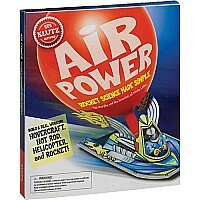 Batteries: AA Batteries Not Included. 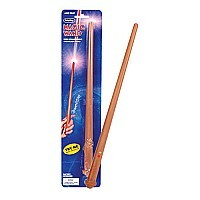 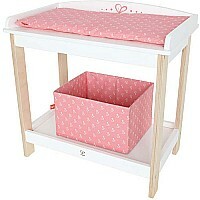 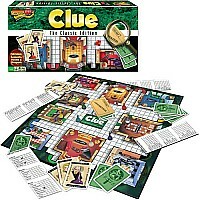 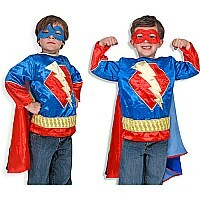 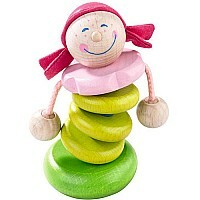 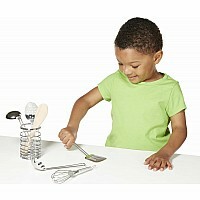 Measures approximately: 4.25 x 15.50 x 22.50 inches..